Anna Henning is on a mission: she wants everyone to start eating turnip greens. In case those gangly greens up there don't convince you, I'll lay out her reasons. Beyond the health benefits, though, turnip greens just taste good. They're crunchy, and sweet, and just a little bit spicy, and when you cook them down, they get wilty and smooth, perfect for wrapping around pasta or serving with mashed potatoes alongside a nice cut of meat. They're the kind of thing you might want to stir into a batch of Portuguese kale soup, or sauté in bacon fat for a bacon-egg-and-toast lumberjack side treat. And last but not least, Anna says, pulling up a turnip and throwing its greens into the compost is a colossal waste. Anna is a farmer—she grows with Bob Wells at Redberry Farm, off Schoolhouse Lane in Eastham—and when I talked to her, this was a three-person campaign. She was in, and Bob. and Heather Bailey, who makes those ridiculously good scones that I get every Saturday morning at the farmers' market in Orleans. And although I have to admit I was a little skeptical at first, after taking a bite, and then another, and then sauteing up a whole mess of turnip greens with sausage and garlic and cream, the campaign now counts another convert in me. I always like the combination of sausage, greens, and penne—there is something hearty and rustic about it that suits this season just right. Turnip greens are an excellent stand-in for the usual chard or kale, and if you like broccoli, the stems of the turnip greens make a nice addition along with the leaves. Slice them like you would celery—they have a sweet, spicy flavor, and add a nice crunch. Brown the sausage over medium-high heat in a big, deep cast iron skillet. Set aside, leaving any remaining fat and browned bits in the pan. In the same pan, heat up the olive oil and sauté the garlic until fragrant, about 30 seconds. Pour in the white wine to deglaze the pan; simmer until reduced by half. Stir in the turnip greens. Cover the pan, turn the heat down to medium low, and let the greens wilt down a little bit. After about five minutes, remove the cover, turn the heat back up to medium-high, and add the cream. Season with salt and pepper to taste and simmer for a minute or so to let the cream thicken up. Add the pasta and the reserved sausage. Toss well and serve hot. 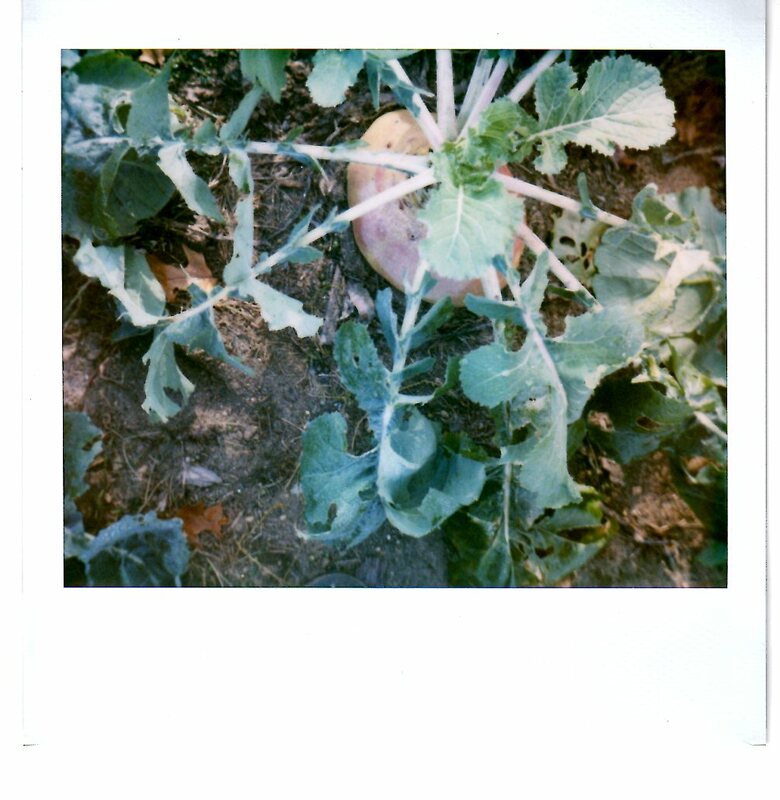 We grow most of our own produce at home, and love turnip greens (and greens of all sorts, in fact). Our "campaign" is to get people to eat parts of veggies that normally are discarded. We eat turnip, rutabaga and radish tops, sweet potato leaves (which are divine), broccoli leaves, everything! Glad to hear we're apparently not alone. And yes! You are so not alone, Tara! Good work! The deer on our farm would agree with you--they ate ALL the tops off our sweet potato crop this year. But, hey, they left the tomatoes alone. We pretend we planned it that way. As for the rest, is it too far to say one man's compost is another man's dinner? I think not. Here's to greens!